PS4 Remote Play Android APK has been updated so you can download and install the latest version 2.5.0 for your smartphone. PS4 popularity continues to increase due to the presence of some features that make gamers more comfortable for long gaming. The new feature which is issued earlier by Sony is a feature called Remote Play. 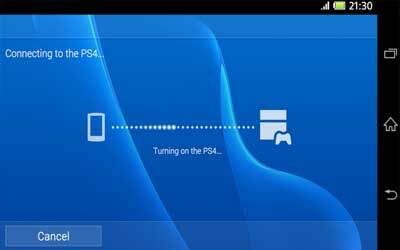 This feature is a tool where you can play PS4 using Xperia smartphone. So you can connect the PS4 with Xperia device and you can play on your Xperia. The Remote Play feature for Xperia is actually not much different with the app in the PS Vita. Users simply move the display from monitor to the smartphone, while all the game processes is still running on PS4. How to use is very easy. You just need Remote Play application, and a WiFi router to do pairing process between the Xperia with PS4. The recommended maximum distance between PS4 and your smartphone is about 10 meters, with a note, there is not much barrier. To be able to enjoy play PS4 with the Remote Play you have to use WiFi network which provides fast speed network. Of course with the higher connection speeds, the game will be smoother and not lag. Sony also provides a controller or DualShock 4, so you can play it easily. Use of your home Wi-Fi network is recommended. Use of public Wi-Fi networks is not recommended. Use of this feature requires a PS4 system, DUALSHOCK 4 wireless controller, Sony Entertainment Network account and high-speed Internet connection. The following languages are now supported. Czech, Indonesian, Hungarian, Romanian, Vietnamese, Greek, Thai. It works surprisingly well, and the fact you can connect your Dualshock 4 and play most android games is awesome. Actually this app is better than the vita remote play and gives you alot of experience as you can play ps4 anywhere.